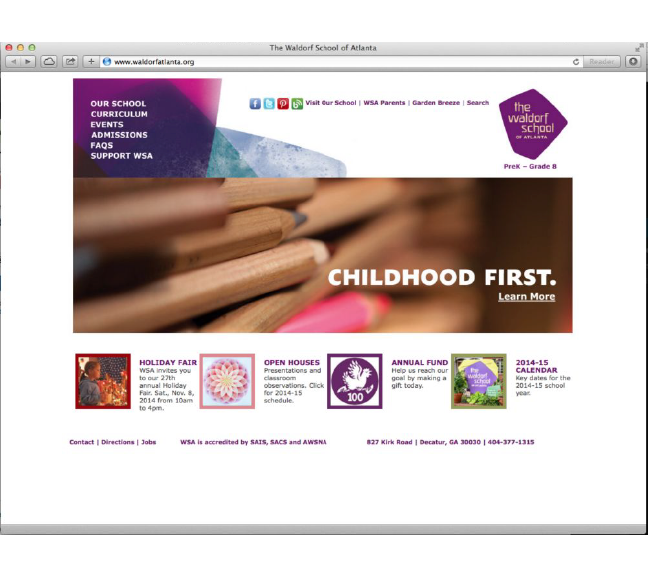 The ongoing, 30th Anniversary campaign is being used in all of the Waldorf School of Atlanta's marketing efforts, for the 2016-2017 academic year. 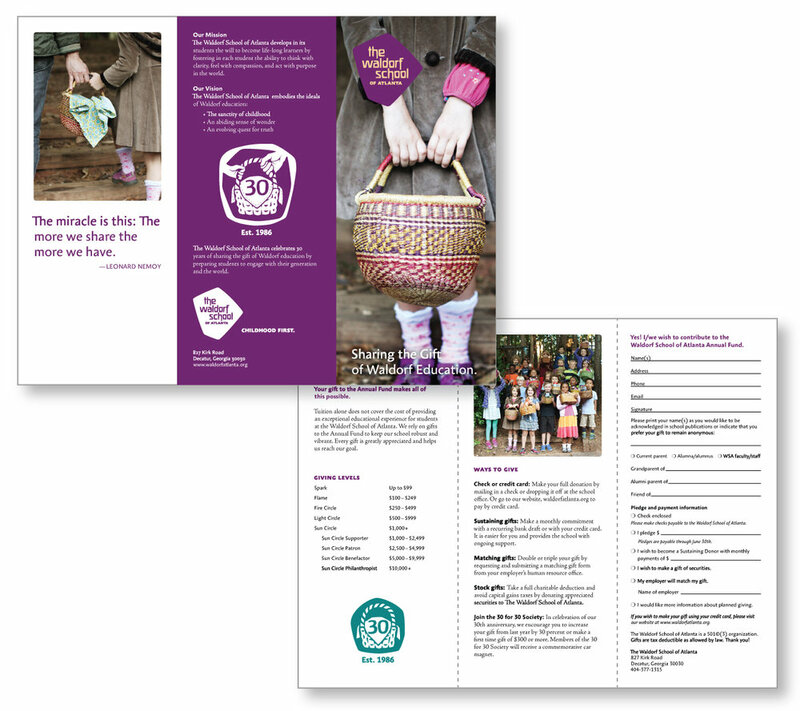 The tagline "Sharing the Gift of Waldorf Education" is accompanied by the image of the basket, a symbol that is literally a container of possibilities. And if one were to step foot on the WSA campus, one would quickly see how ubiquitous this utilitarian object is! For 2014-15 the Waldorf School of Atlanta held its annual fundraising campaign with a simple yet lofty goal: To raise $100k, with 100% parent participation in just 100 days. 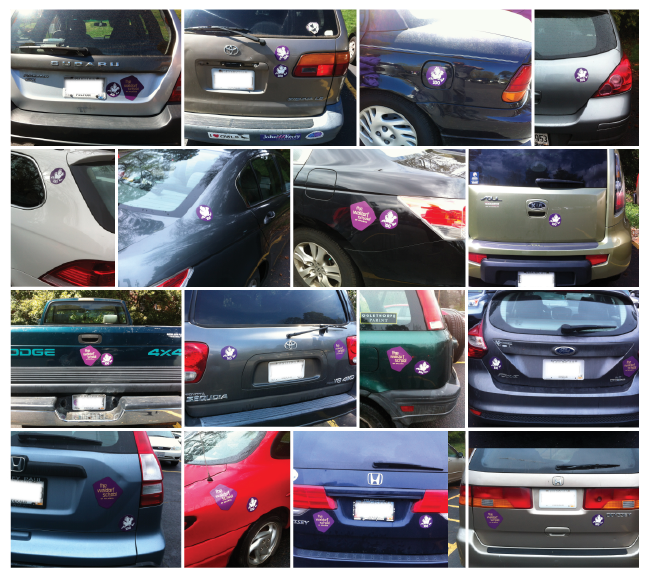 The WSA chicken, a whymsical symbol of both urgency and productivity was used in everything from car magnets, fliers, t-shirts, e-blasts and internal communications. And the campaign reached its goal in just 93 days!